Prosecutors seek to launch case against prison employees over photos of inmate | Russian Legal Information Agency (RAPSI). MOSCOW, November 8 (RAPSI) – Prosecutor has asked investigators to launch a criminal case against officials and employees of a penal colony after emergence of photos picturing a high-profile criminal violating Russian prison rules, the press-service of the prosecutor’s office of the Amur region has stated. The criminal case may be classified as abuse of office and exceeding official powers. 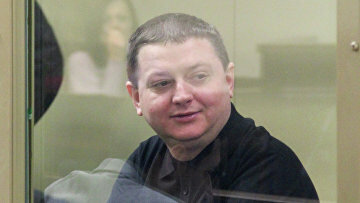 Examination conducted by prosecutors throughout 2018 revealed that prison officials made it possible for Vyacheslav Tsepovyaz, a member of notorious Sergey Tsapok’s gang, convicted of participation in mass murder, to systematically violate the rules: eat gourmet food, have additional visits, freely use prohibited items. It was also found that the penal colony’s administration unlawfully mitigated the inmate’s prison conditions. Earlier, Russian media published photos of Tsepovyaz eating crabs, caviar and barbecuing in the colony. Authenticity of these photos was not disputed. In 2013, Russia’s Krasnodar Regional Court found gang leader Sergey Tsapok guilty of mass murder and sentenced him to life in prison. Tsapok and his group have been found guilty of other numerous crimes, including grave and exceptionally grave ones. Tsepovyaz was sentenced to nearly 20 years in prison. On November 4, 2010, 12 people, including four children, were brutally murdered in the village of Kushchevskaya in the Krasnodar Territory in southern Russia. The family of a wealthy local farmer Server Ametov was stabbed to death along with visiting friends and a bystander. The convicted killers started several fires around the house before fleeing. 12:59 08/11/2018 Prosecutors have asked investigators to launch a criminal case against officials and employees of a penal colony after emergence of photos picturing a high-profile criminal violating Russian prison rules.